Welcome to Eight Weeks to Transformation ! I’m thrilled you are called to find out more about the advanced and exclusive Eight Weeks to Transformation Group Coaching Program! 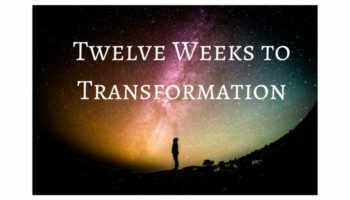 What is Eight Weeks to Transformation? Then this Group Coaching program is for you! Make decisions and take action as Consciousness! Why did I create Eight Weeks to Transformation Group Coaching Program ? We aren’t personalities seeking greater spirituality, but Consciousness expressing itself in physical form. You may be sensing new and inexplicable experiences of expansion. Your old world is crumbling away yet you feel unprepared what’s coming next. Old personal growth and spiritual techniques are no longer working. The Universe is calling for you to do what you are meant to do! We each have a reason for being here. Sometimes we lose touch with what that was, sometimes we never knew was it was. Or we don’t know how to express it in the world. I created this program so I can help give you solid support in breaking through to your next level of evolution. It’s essential to have a mentor who has walked the path and can help you stay true to who you are becoming as old patterns are breaking down and going away. I am committed to holding the space for you to bring your vision into reality! Timing is everything. How long have you waited? How long are you willing to wait? How can you be accepted into the Eight Weeks to Transformation Group Coaching Program? Complete the application below and send it to our team, indicating your sincere interest in being considered for the program. Scan & email to [email protected]. Eight Weeks to Transformation is a 60 day Group Coaching Program. Enrollment is strictly limited. If you’re feeling that gentle nudge from your inner wisdom that this might be right for you, I urge you to complete the application and return it to me right away. Completing your application does NOT commit you to the program. It’s just a sincere expression that you would like to be considered for mentorship. I’ll read your application personally and we’ll have a brief conversation to see if the program is right for you. I am being extremely selective about the clients I accept into this Group Coaching program. You will ONLY be offered a spot in the program if it’s a perfect fit. Go through the application (at the bottom of this document) and answer the questions and you will know if you are ready for this step. (Many people say the just filling out the application is a transformative experience)! Manifestations remain dreams until action is taken. Your first step is filling out your application – I can’t wait to read it! In this program, you’ll receive my best systems and training to discover (or rediscover) who you essentially are and why you are here, and Coaching to put your discovery into action. You’ll upgrade your old techniques and energy system, going from dialup to wifi, from SD to HD! You’ll receive tools to create transformation in all aspects of your life. Along the way, you’ll receive a high degree of accountability, coaching and support so you make powerful decisions and take passionate action towards your vision of success. A Clear Picture of Your Purpose. You’ll know Who you truly are and why you are here. Tools For Living From This New Level of Being. You’ll have ways to continue to achieve greater fulfillment in all areas of your life. Personal Mastery. You’ll know how to navigate life *as* Consciousness, how to disintegrate limitations, and BE who you truly are in the world. Personal Accountability. You’ll stay on track to meet your goals with specific accountability and detailed tracking of your success. Trust Your Decisions No more soul-sucking, energy-draining second guessing! End the confusion, overwhelm, wasted time and wasted money of what to do next. Move Effortless Through Fear And Doubt You’ll learn life-changing techniques to help you move quickly through fear so you can stay aligned with your purpose and taking passionate action! Experience Breakthroughs And “Inner Game” Shifts Your BEING creates your reality! Grow like never before, let go of old beliefs, and be free to create your life exactly as you wish to live it! Enjoy unconditional support from a powerful mentor who is committed to your growth, excellence and leadership. Discovery Session With Joan. You’ll jump start your program with a Discovery session with Joan. In this session, Joan will coach you to a bold vision and specific outcomes for your program and beyond. Ongoing Group coaching sessions with Joan. Members will benefit from weekly scheduled 90-minute Group coaching calls, focused on helping you implement your trainings and apply it to your life. Advanced Consciousness Training. Techniques developed by Joan delivered in step by videos you can watch on demand and replay over and over to truly integrate the information. Weekly Accountability Tracking Journal This simple and inspiring monthly check-in journal helps you assess and celebrate what you’ve accomplished and set your intention and goals for the upcoming week. Your journal will be read by Joan personally each week. Private completion session with Joan. At the end of the program, you will receive a one-on-one personal coaching session with Joan to celebrate your wins and plan your next steps! Are you the right fit for the 8 Weeks To Transformation Group Coaching Program? Not everyone is called to play a bigger game. Many are content with a modest life, keeping their head low and living on a smaller scale. And for them, that path is right and perfect. But if you know you have a deep inner calling… a big mission… a passionate message and a yearning in her heart to make a lasting difference… it’s simply not enough. This program is right for you if you truly desire to create a life of purpose and passion! You’re ready to leave waiting, delaying and denying your gifts behind and play full out to create what you want in your life. You also need to know that I am VERY selective about who I choose to work with. I’ve found that it’s not of service to take on a client who simply isn’t ready to receive this kind of support, or is not willing to take the action required to upgrade their life. √ You are ready and willing to make decisions even when it’s uncomfortable. √ You are committed to being Conscious, playing BIG, and manifesting change. √ You want to take action and getting things DONE instead of just talking about it. √ You are aware and committed to your own growth. √ You are ready to invest in yourself – in time, energy, attention and money. √ You are wealth conscious. √ You show up powerfully to get the results that you want. √ You are willing to do things differently than you have done before. √ You make your payments on time. √ You respect my boundaries and that of my team. √ You are excited about working together towards manifesting your dreams! It’s a MUST that this program is a fit for both of us. Once I receive your completed application, we’ll have a short interview to make sure that you and I are a perfect fit for each other and that this program is the right decision for you. You will ONLY be offered a spot in the program if it’s a perfect match. Also, because this program has to be the perfect fit for you, I’ll share the investment in our interview. As you undoubtedly know, this level of support and mentorship requires a deep investment of time, energy, attention and money. It’s these kinds of investments that pull you forward the most – the benefits are priceless! If you see yourself reflected in these words, if this resonates deeply within you, if you’re feeling that gentle tug of Divine guidance that tells you you’re on the threshold of a truly magical transformation… then this is your moment to step forward and claim the life you truly want. It matters that you take action NOW. And the next step couldn’t be simpler. To be considered for the program, simply complete the application and return it to me. No matter what, this positive action of filling in the application will be transformative for you. I know you’ll receive at least ONE powerful breakthrough, insight, or awareness about yourself, simply by answering the questions. The next 2 months have the power to change your life, but only if you complete your application today. I can’t wait to read your application and connect with you personally! Joan has coached and mentored hundreds of awakening and conscious beings around the world, empowering them to discover their purpose and passion and be who they are meant to be. Known for bringing advanced energy concepts and techniques into everyday language and practical ‘real world’ application, Joan delivers simple ways for you to navigate life AS Consciousness. Joan has developed and led programs, and coached people in their personal growth for 35 years, most recently Real World Manifesting, Mystic Mentorship, Manifesting Money and Miracles, Inner Power to Create What You Want, Accessing Unseen Help, Consciousness Techniques, and more. Using her systems, Joan’s clients and students have achieved phenomenal results, including building million dollar businesses, living a ‘location free’ lifestyle, and re-creating their careers. Above all, Joan is passionate about empowering people to create their lives exactly as they wish to live it – on their terms. She and her clients are living examples that you can do what you love and have a rich spiritual life at the same time. 1. Please describe your life as it is right now, including your health, relationships, work, home, other activities, etc. 2. What are your current challenges in these areas? 3. What is the cost of NOT overcoming those challenges? Please be specific and focus on what matters to you (living your purpose, relationships, home life, peace of mind, financial success). 4. What’s the #1 biggest obstacle(s) to solving these challenges? What have you tried, and why didn’t it work? 5. What’s your current status (relationship, health, career, finances)? What were they this time last year? And the year before? 6. If you are accepted into the program, what are your top 3 SUCCESSES you want to accomplish in our time together? 7. Who or what do you think is responsible for your current results? 8. Are you willing to do what it takes, challenge yourself to get OUT of your comfort zone, eliminate excuses and be unstoppable towards your own success? 9. Are you currently working with a coach or mentor? Have you worked with coaches or mentors in the past? 12. Why this program with Joan? Why now? And why are YOU a great candidate?